Goal is four sets or fewer. Note total sets taken and total time to complete 100 reps.
*If you’re strong with HSPUs, add a deficit. If you struggle with strict handstand push-ups, reduce the reps, sub L-seated DB Press or work on negatives. We are hosting a Free Intro to CrossFit session at the Lululemon Ala Moana store, TOMORROW, Saturday, January 24th at 8:30am! Let your friends and family members know, so we can pack the house and show them what CrossFit 808 is all about. 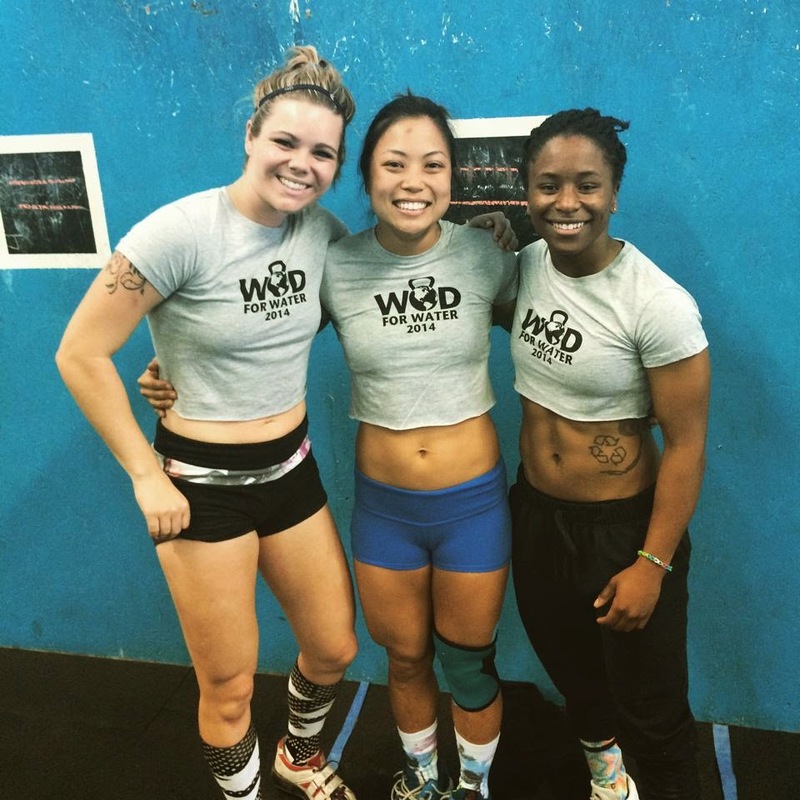 Free Intro to CrossFit session this Saturday! Come join Coach Sage, Coach E and Coach Shay this Saturday at the Lululemon Ala Moana store! We are hosting a Free Intro to CrossFit session at 8:30am! Let your friends and family members know, so we can pack the house and show them what CrossFit 808 is all about. Scheduling Reminder: We are following a Holiday Schedule today - 8am, 9:30am, and 11am classes only! Scheduling Reminder: We will be following a Holiday Schedule on Monday, January 19th "MLK Day" - 8:00am, 9:30am, and 11:00am classes only! Please RSVP at the gym. Thanks! If you don't make it in the 3-minutes, roll into the next 3-minutes and finish the set, then rest the remainder of the time. 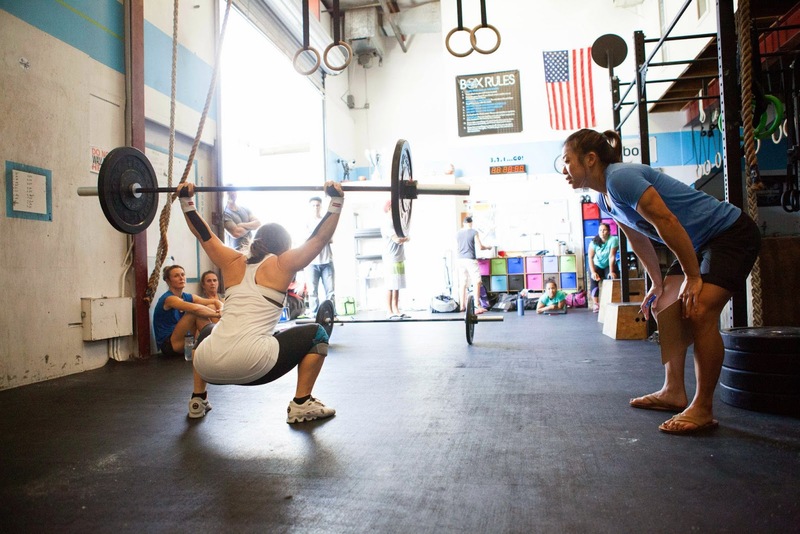 Feel like taking your CrossFit game to the next level? Well here's your chance! We will be starting a competition group on Saturdays, where you will perform the "Competition Workout of the Day" under the watchful eye of Coach Josh. Time on Saturdays will be strictly between 10:30 a.m. - 12:00 p.m, workouts must be completed within 90 minutes (10:00 a.m. mobility/warm-up okay). Sign-up for the CrossFit 808 Comp Group by emailing Coach Josh at josh@808crossfit.com with the subject line, "Sat Comp Group." First session will start next Saturday, January 17th. If you are two or three times a week member, this session will count as one of your weekly classes. While there is no "RX Checklist" for this group, scaling will be very minimal during these sessions (unless there is an injury). Please see Coach Josh or Coach Elyse for more information. *NO DROPPING BARBELLS. Must lower barbell to the floor with control. Please find street parking on Kalani Street by the KGMB building tomorrow, Saturday, January 10th for both the 8:30am and 10:00am classes. There is an event going on tomorrow in the main parking lot. Thanks in advance! A. Take exactly 10 minutes to build to today’s heavy Push Press. C. When the clock hits 12:00, begin Part B . . .
At the top of each minute, for 24 minutes, you will rotate stations and try to accumulate as many reps or meters as possible of each movement. Note the weight used and the reps achieved. The next Group Elements Program! The Group Elements Program is 4 weeks long (12 classes) and $150 (payable in cash or check only to Joshua Akiona). The classes occur at 6:30pm on Monday, Tuesday and Thursday. Attendance at all classes is required to pass. * If any session is missed, a private make-up session for $50 must be scheduled with your coach. The next Group Elements begins Monday, January 5th. Please email josh@808crossfit.com with the subject line, "JAN15 Elements Program," to reserve your spot.